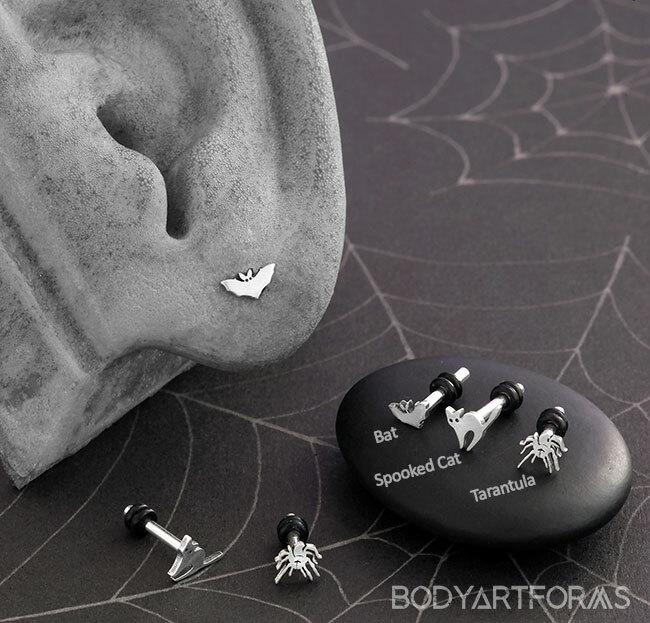 Get into the spooky spirit with these dainty, silver plugs, featuring some Halloween favorites. Single flare, these are a nice alternative to standard earrings. Tarantula has an outer diameter of 5mm. Bat has an outer diameter of 3mm x 6mm. Spooked Cat has an outer diameter of 6mm.